Magically redirects readers to retailers so you don’t have to update your e-books after publishing. You want to encourage your readers to leave reviews, and you want to make it as easy as possible so they just have to click a link from their e-reader to be taken to the retailer they purchased the book from. When you are releasing your book, it doesn’t have a page at the retailer’s site yet — so you have no link to include in the text. So you wait for your book to be approved by the retailer, and when it is, you finally have a link. Then you have to update your book with that link, and possibly wait another 12-72 hours for your book to be re-approved. Now there’s an easier way! 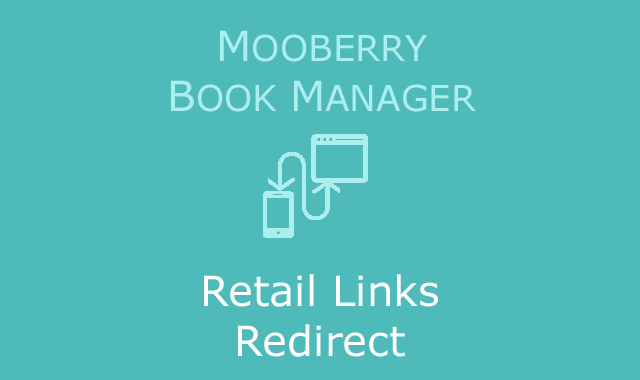 MBM Retail Links Redirect connects with Mooberry Book Manager to make managing your retailer links simple. 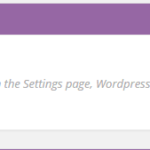 When your book is approved by the retailer, and you have the real link for your book at the retailer, add a retail link to your book through Mooberry Book Manager. Now your book page links to the retailer so readers can buy your book. 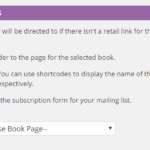 Next, MBM Retail Links Redirect will take that link from Mooberry Book Manager, and redirect to it anytime someone goes to http://www.yourwebsite.com/book/your-book-title/?retailerID=1. Your e-book never has to change, and the redirect is seamless. What happens if a reader goes clicks on http://www.yourwebsite.com/book/your-book-title/?retailerID=1 before you’ve add the retail link? 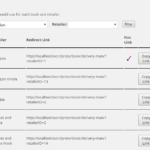 MBM Retail Links Redirect will display a page of your choosing. Side note: this is a great place to add a mailing list sign up form. Either way, your reader always has a valid link to go to, and you never have to edit and re-upload your e-book file. 30-day money back guarantee. See details.